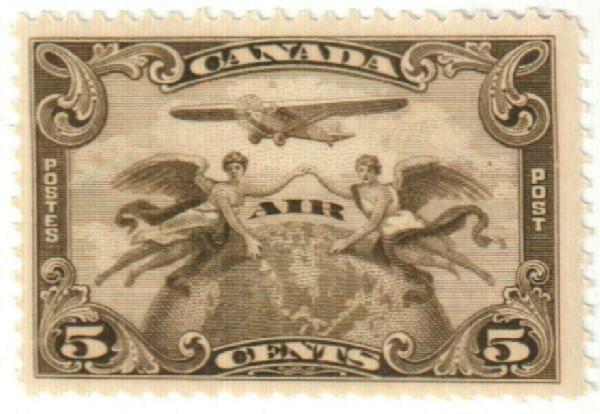 Canada #C1 – Canada’s first airmail stamp pictures a pair of winged figures to represent flight. 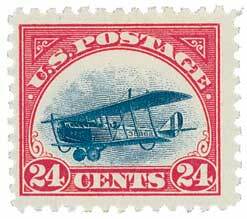 On June 24, 1918, Captain Brian Peck made the first airmail flight in Canada. Like many nations at the time, Canada had sent a number of pilots to Europe to join in World War I. However, many didn’t return home and the number of Royal Flying Corps recruits was very low. U.S. #C3 was actually issued before #C1. On June 23, 1938, President Franklin Roosevelt signed the Civil Aeronautics Act, creating the Civil Aeronautics Authority. With the first sustained powered flight by the Wright brothers in 1903, the age of the airplane began. People around the country, and the world, tried their hand at creating flying machines. 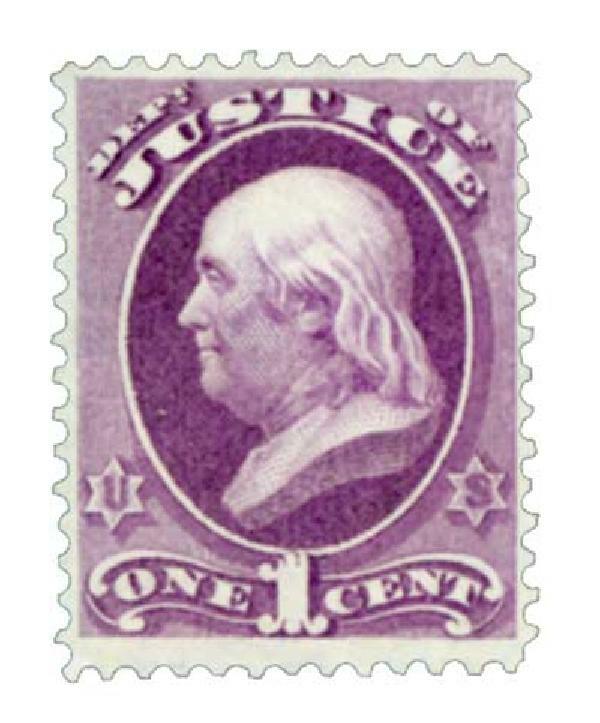 Though America had been the birthplace of aviation, European nations soon took the lead amidst an arms race and the outbreak of World War I.
U.S. #O25 – Department of Justice Official stamp picturing Ben Franklin. On June 22, 1870, President Ulysses S. Grant signed a bill into law creating the U.S. Department of Justice. 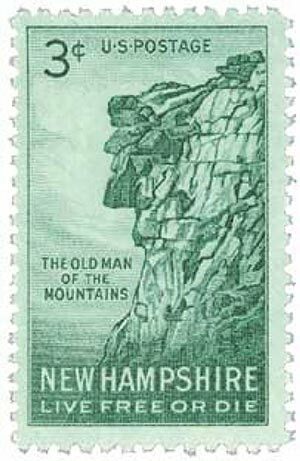 U.S. #1068 pictures the Old Man of the Mountain, which was made New Hampshire’s official trademark in 1945. On June 21, 1788, New Hampshire ratified the U.S. Constitution and was admitted to the Union. What is now New Hampshire was home to about 5,000 American Indians before European settlement. Most of these people belonged to the Algonquian Indian family. These Native Americans built houses called wigwams out of bark and animal skins. Hunting and fishing were supplemented by small-scale farming of corn. The Algonquian Indians often fought with their neighbors, the Iroquois. U.S. #1232 pictures the state capitol building in Charleston. 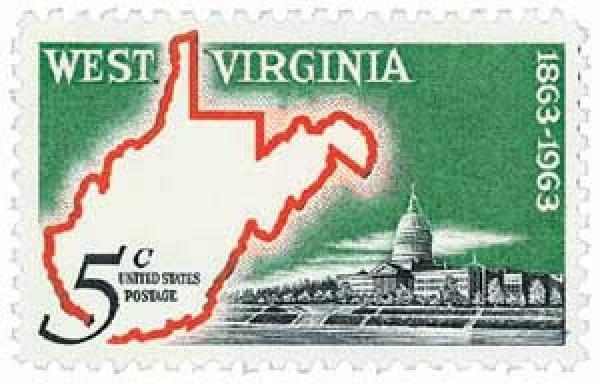 On June 20, 1863, West Virginia joined the Union as the 35th state. A group of Indians known as the Mound Builders were the earliest-known inhabitants of West Virginia. They constructed huge earth burial mounds, many of which still exist today. Later, the Cherokee, Iroquois, and Shawnee tribes arrived in the region. These Woodlands Indians lived in the West Virginia area during the summer, and then moved back into the northeast as winter approached. Many of the Indians in West Virginia were killed during tribal conflicts and through epidemics of smallpox. When Europeans arrived in the region, they found it sparsely populated. U.S. #902 pictures a Lincoln statue funded by freed slaves. 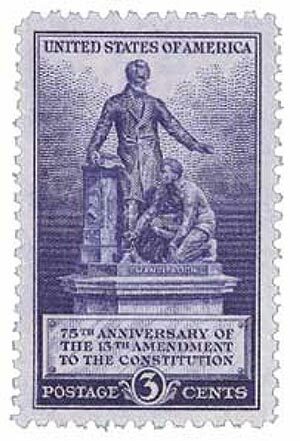 On June 19, 1865, slaves in Galveston, Texas, were finally informed of their freedom by the Emancipation Proclamation (issued two years prior). The day the last American slaves were freed has become a holiday celebrated officially in 45 states. In the summer of 1862, the Confederates scored one victory after another. President Lincoln believed freeing slaves would weaken the South by greatly reducing its labor force. He prepared a proclamation that would free slaves in the Rebel states, but needed a Union victory to win support in the North. That chance came in September, when Northern forces stopped a Confederate invasion at Antietam, Maryland.